Adriatic Lux are making stylish interiors and exterior seats using marine leather, suede or Sunbrella Marine Upholstery fabric in a wide variety of colors and designs for comfort and entertaining or more robust interiors for power boats. 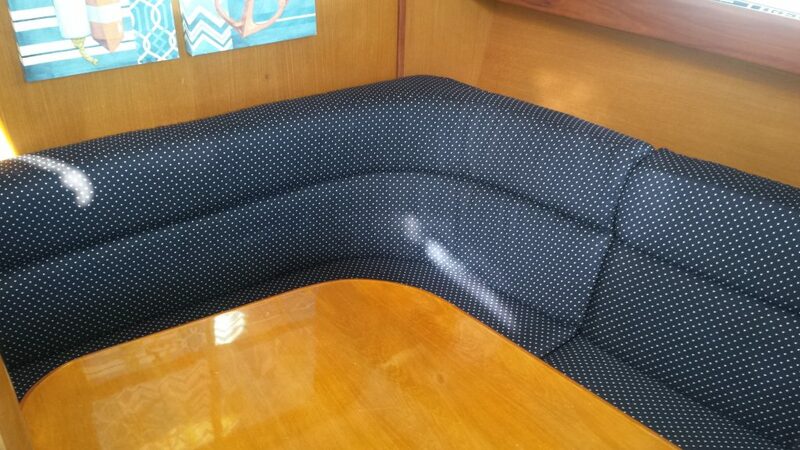 We can create or re-cover ant type interior or exterior boat cushions or seats. They could be plain and simple, or be made with knee rolls. All materials are UV resistant and weatherproof, combining different foams of various densities/thicknesses to ensure that they can stand up for many years of use. There are also plenty the accessories to go with your upholstery. If you need throw cushions, loose fitting covers, protective coverings or any other upholstery products you could think of, we could make it. Whether you are building a new boat or refitting your current one, give us a call.